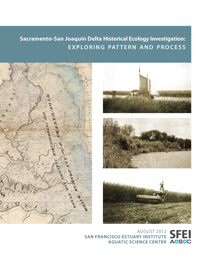 Given the extensive changes to the Delta, the goal of the project is not to create a literal template from which to recreate the historical Delta. Rather the objective is to understand how large-scale restoration can support an ecosystem in the future Delta that reflects functions to which native species are adapted. This involves recognizing physical gradients along which ecosystems can adapt as the Delta continues to change. contact: [email protected] or 510-746-7355.